Submitted photos Greene County Council on Aging held their 7th annual Senior Palooza May 15 at the Greene County Fairgrounds. The event featured the theme “Our Stories Continue” with a wide variety of unique activities for the 50+ crowd. The morning kicked off with a 5K. Words in Words, Mad Libs, Story Stones, Bookstore Puzzle and an Autobiography Beach Ball Toss offered day long fun in the Assembly Hall. Take home projects included Book Page Sachets and a Bookend Project. Folks competed in a Scrabble Challenge Tournament and Whirly Words, GCCOA’s version of Wheel of Fortune, to round out the afternoon. Greene County Council on Aging held their 7th annual Senior Palooza May 15 at the Greene County Fairgrounds. The event featured the theme “Our Stories Continue” with a wide variety of unique activities for the 50+ crowd. The morning kicked off with a 5K. Words in Words, Mad Libs, Story Stones, Bookstore Puzzle and an Autobiography Beach Ball Toss offered day long fun in the Assembly Hall. Take home projects included Book Page Sachets and a Bookend Project. Folks competed in a Scrabble Challenge Tournament and Whirly Words, GCCOA’s version of Wheel of Fortune, to round out the afternoon. 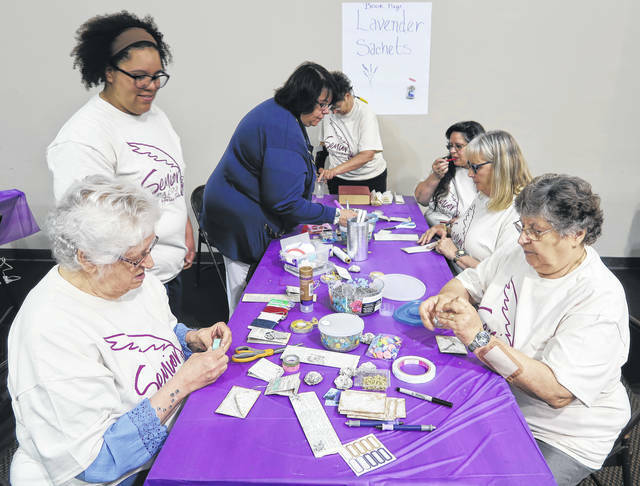 https://www.fairborndailyherald.com/wp-content/uploads/sites/50/2018/05/web1_Activities.jpgSubmitted photos Greene County Council on Aging held their 7th annual Senior Palooza May 15 at the Greene County Fairgrounds. The event featured the theme “Our Stories Continue” with a wide variety of unique activities for the 50+ crowd. The morning kicked off with a 5K. Words in Words, Mad Libs, Story Stones, Bookstore Puzzle and an Autobiography Beach Ball Toss offered day long fun in the Assembly Hall. Take home projects included Book Page Sachets and a Bookend Project. Folks competed in a Scrabble Challenge Tournament and Whirly Words, GCCOA’s version of Wheel of Fortune, to round out the afternoon. 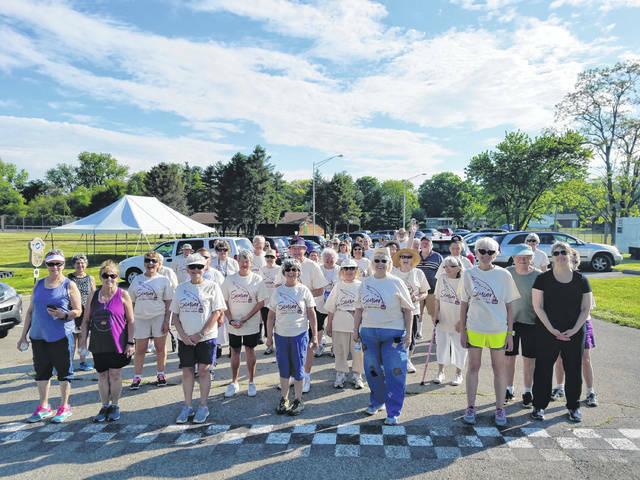 https://www.fairborndailyherald.com/wp-content/uploads/sites/50/2018/05/web1_Palooza.jpgSubmitted photos Greene County Council on Aging held their 7th annual Senior Palooza May 15 at the Greene County Fairgrounds. The event featured the theme “Our Stories Continue” with a wide variety of unique activities for the 50+ crowd. The morning kicked off with a 5K. Words in Words, Mad Libs, Story Stones, Bookstore Puzzle and an Autobiography Beach Ball Toss offered day long fun in the Assembly Hall. Take home projects included Book Page Sachets and a Bookend Project. Folks competed in a Scrabble Challenge Tournament and Whirly Words, GCCOA’s version of Wheel of Fortune, to round out the afternoon. 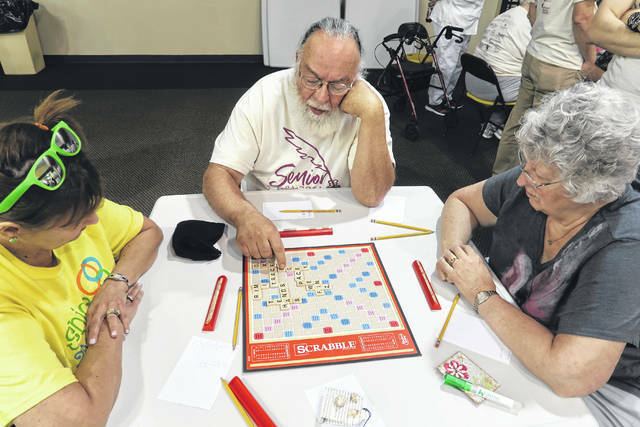 https://www.fairborndailyherald.com/wp-content/uploads/sites/50/2018/05/web1_Scrabble.jpgSubmitted photos Greene County Council on Aging held their 7th annual Senior Palooza May 15 at the Greene County Fairgrounds. The event featured the theme “Our Stories Continue” with a wide variety of unique activities for the 50+ crowd. The morning kicked off with a 5K. Words in Words, Mad Libs, Story Stones, Bookstore Puzzle and an Autobiography Beach Ball Toss offered day long fun in the Assembly Hall. Take home projects included Book Page Sachets and a Bookend Project. Folks competed in a Scrabble Challenge Tournament and Whirly Words, GCCOA’s version of Wheel of Fortune, to round out the afternoon. 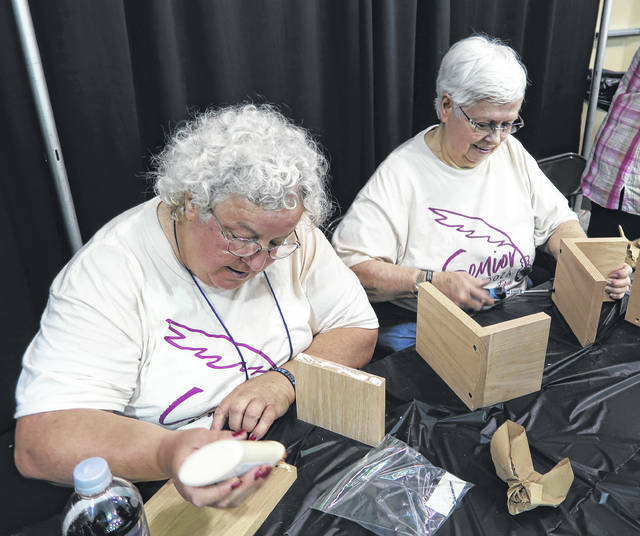 https://www.fairborndailyherald.com/wp-content/uploads/sites/50/2018/05/web1_Wood.jpgSubmitted photos Greene County Council on Aging held their 7th annual Senior Palooza May 15 at the Greene County Fairgrounds. The event featured the theme “Our Stories Continue” with a wide variety of unique activities for the 50+ crowd. The morning kicked off with a 5K. Words in Words, Mad Libs, Story Stones, Bookstore Puzzle and an Autobiography Beach Ball Toss offered day long fun in the Assembly Hall. Take home projects included Book Page Sachets and a Bookend Project. Folks competed in a Scrabble Challenge Tournament and Whirly Words, GCCOA’s version of Wheel of Fortune, to round out the afternoon.